Elements like lines, labels and dimensions automatically snap to points in the SketchUp models you insert in LayOut 2.1. When Object Snap (Arrange > Object Snap) is enabled, colored point inferences appear as you hover over edges, endpoints and faces in inserted SketchUp model views. Elements you create while snapped to points in a model are sticky; they remain attached when the underlying model view is moved around on your page. Naturally, this applies to dimensions, but it also works with labels and shapes (like door swings). We tweaked the Freehand tool to make it even easier to draw smooth, perfect vector lines with a mouse. As you draw, LayOut figures out where to put the control points so that your shape stays recognizable but editable. Now you can draw things like scale figures, free-form graphics and foliage right inside LayOut. LayOut 2 makes it easy to include lists – bulleted or numbered – in your text. Before, only Mac users could do this. Now, everyone can. In LayOut 2.1, you can choose to display your grid as dots instead of lines; sometimes this makes it easier to see what you're doing. You can also tell LayOut to draw your grid (dots or lines) in front of your drawing elements. After all – what good is a grid if you can't see it? We've made it easier to move elements like graphics and text between LayOut 2 and the other programs in your design toolbox. Needless to say, we didn't just add a bunch of new features in 2.1. Our crack team of amiable nerd-types have been squashing bugs and fiddling with code for months. And as always, many thanks go out to the selfless beta testers who've helped make LayOut better with every release. While everyone is wowing over dimensions, Lists are huge. Major happy about them, but wish you could do a quick video to explain it to my less technical savvy draftsmen. Great to see accuracy and simplicity in Layout for much better annotating of documents. Gives designers so much more, and makes them think of wider possibilities in using SketchUp and LayOut. Would love to see an Export DWG,DXF from a Layout Page! What about property or boundary lines in site plans? When will these line types be available in Sketchup where modeling is done 1 to 1 rather than only in Layout where they are available now? Great!.....but how do you dimension circles, arcs and angular walls? y ¿de que sirve?, sino funciona en Linux!!! Two steps forward, one step back. 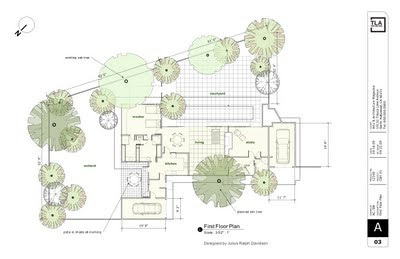 LayOut is very nice, but as a big user of circles and arcs, how can I produce drawings with dimensions? Layout is nothing without export to Sketchup ! It should be the official google foorplanner, but without export it cant. UGGGH!!!!! I am juggling water!! 1.) I have a multi sheet document and every time I update a drawing, all of the other sheets update to the current view instead of just the selected drawing! 2.) I have created scenes which have specific color and black & white styles. when I insert the drawing and change to the scene it defaults to the standard color style and I can not convert to my new style!!!! 3.) Frustration sets in...I am thinking of buying a gun! 1. You have Auto (rendering) checked in the SketchUp Model Inspector. Uncheck this (Window->SketchUp Model, bottom of the panel). Now you can control what gets re-rendered by selecting only the models you want and clicking "Render". If you NEVER want them updated, explode the model, and if it's raster rendered, it'll become a PNG image and if it's vector rendered it'll become a group of vectors. 2. Make sure the style has been saved (no update arrows over the style icon), and then you update the scene, and then save the file (in that order), and it should come through. SketchUp allows you to try style changes without saving them. That's fine, but it's hard for LayOut to determine what you want when you have modified but unsaved styles.